We are pleased to announce the release of SongKong 5:15 Crocodiles on 5th March 2019. 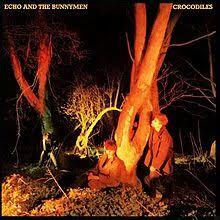 This new release is named after the debut post punk album by Echo & The Bunnymen from 1980. 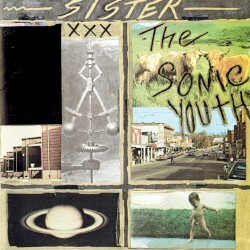 Great tunes, guitar, vocals and image on one of the best debuts ever. Originally the definition of a Compilation that was used by SongKong was the same as the one used by MusicBrainz. This means that both Various Artist Compilation albums and a Single Artist Compilation are considered to be compilations and have the Is Compilation field set. But most of us consider these two cases differently, and only really consider the Various Artist album as being a compilation. So now only Various Artist compilations are marked as compilations, and we have added a new field called Is Greatest Hits for a single artists Greatest Hits albums, this makes more sense. Things are slightly different for Classical music because it is difficult to determine the distinction we have for now continued with Is Compilation for all types of classical compilations. 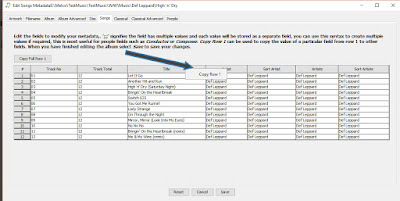 SongKong always tries to match logical groupings of songs to one album, if this is not possible then it does song only matching, in such cases we only update song only fields such as Song Title and not album fields such as Track No. 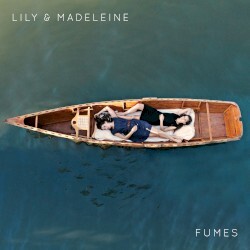 But often it is the case that all but one song was matched to the same album, and there is just some minor problem preventing all songs being matched. 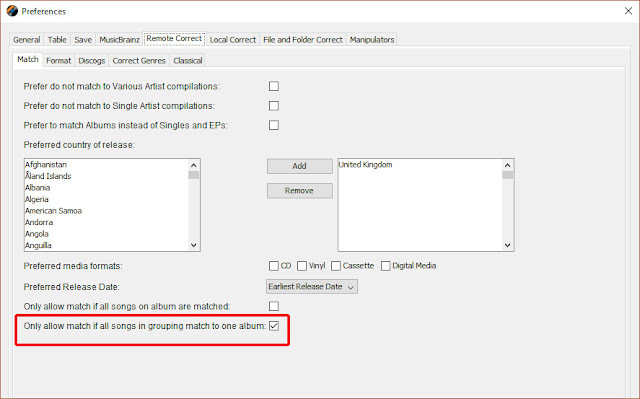 If subsequent Song Only Match matches the groups of songs to recordings that have links to the same MB Release then we also add some basic release information such as Album Name, Catalogue No and Cover Art using the most popular releases for the songs. So for each song we use the most popular release that the song is linked to. And we know that Cover Artist a key piece of metadata customers like to have. 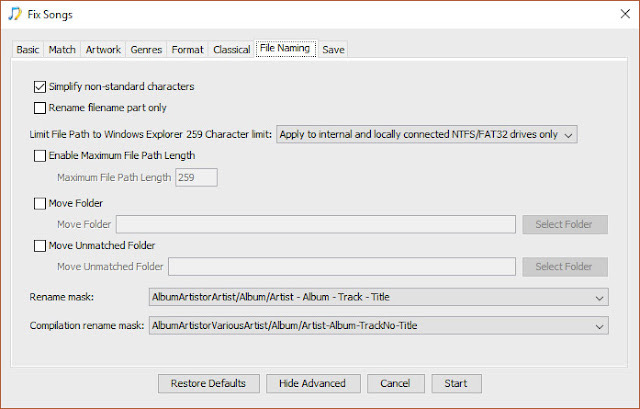 And it is much easier to remove an incorrect piece of artwork then manually search and add artwork yourself, but we only add album data when songs are missing that data we don't overwrite exsting data. And we only add album data for albums that are not compilations. The reasoning behind this is that we cannot be sure we have the correct album because we cannot match all songs to the album, but if it is an original album there is a good chance it is the correct one, or a variation of the correct one. But if it a compilation then because popular songs can find their way onto many compilations there is a good chance that this is actually the wrong one. 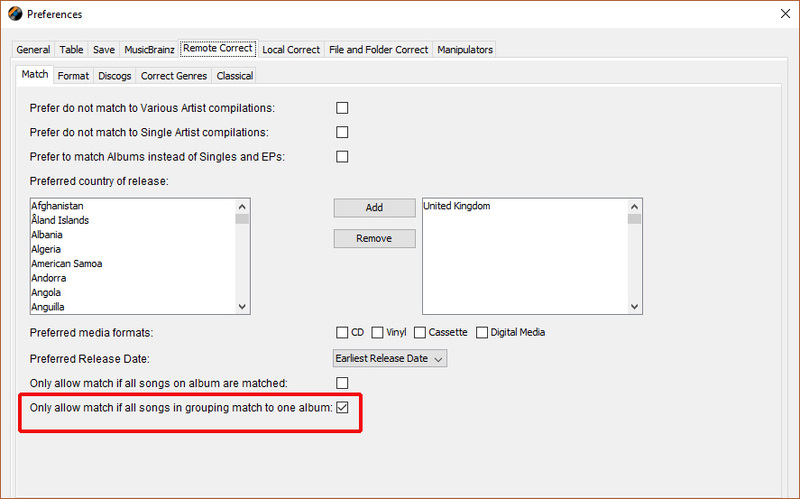 We have extended Albunack DiscId matching so that it can now work for multi disc albums as along as each disc in your collection is stored in a separate folder under the parent folder. We have increased the fuzziness of Discogs Albunack DiscId matching to find more potential hits. And we have fixed a bug when using Albunack DiscId matching with Mp4 files. Jaikoz does not do most of it searches directly from Musicbrainz or Discogs, instead it uses Albunack. 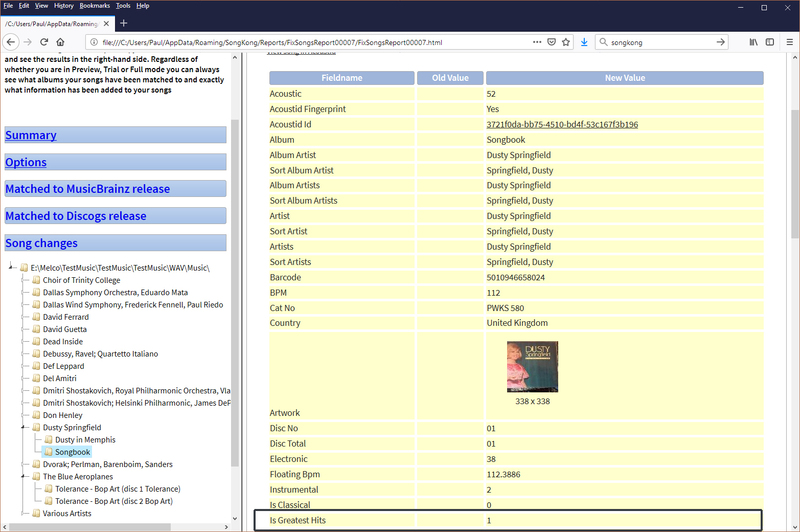 Albunack is a single database containing both MusicBrainz and Discogs datasets. 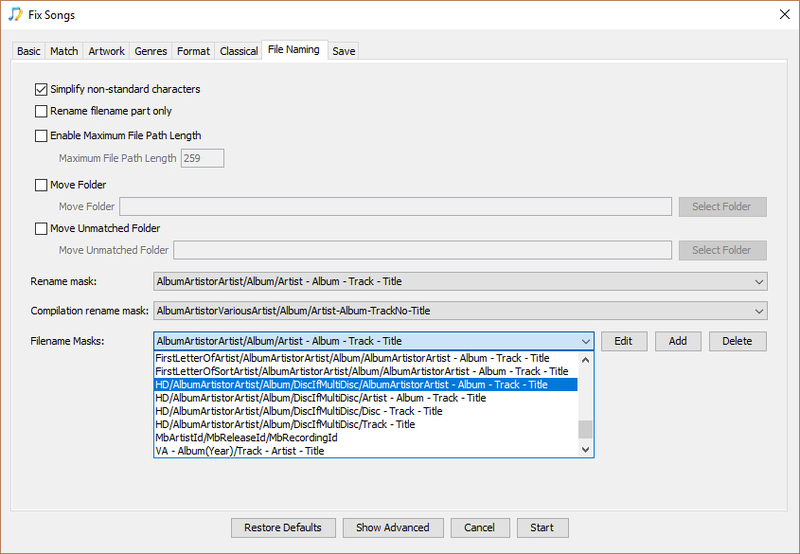 It is specially designed for tagging your music and hence allow matching much quicker and much more reliably than if Jaikoz had to use MusicBrainz and Discogs directly. 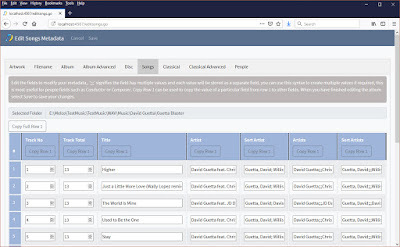 Albunack is updated regularly from MusicBrainz and Discogs with the latest data, but there can be a delay of up to one month. So if you are tagging the latest releases or have added a release yourself to either of these databases it will not be in Albunack immediately. 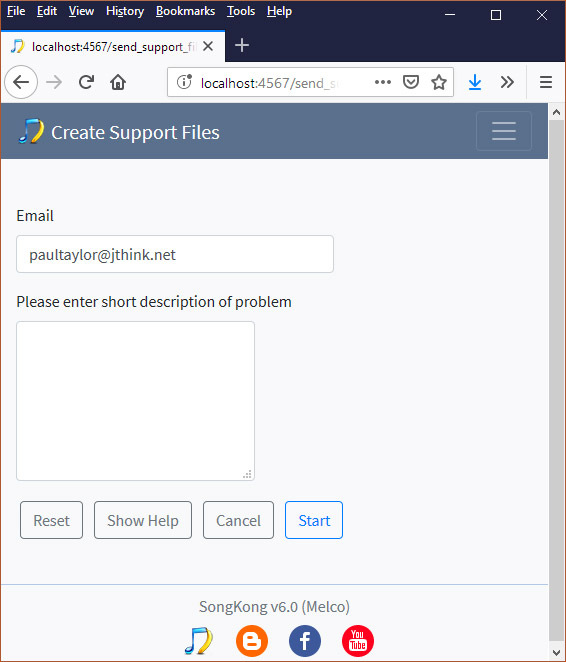 With Jaikoz 10 we have added an extra search to MusicBrainz itself when we are unable to find a match in Albunack. 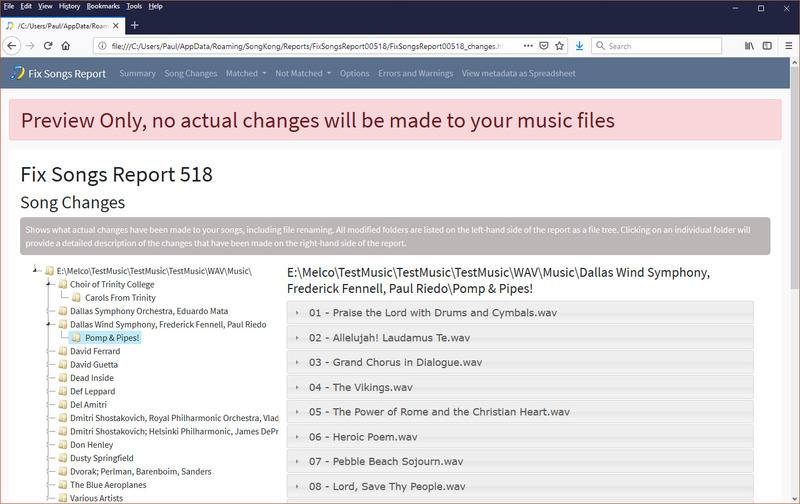 This ensures you always have access to latest releases as soon as they are added to MusicBrainz. But then this can cause a grouping of songs that do actually represent one album to be split up if the album simply does not exist in MusicBrainz yet. Song Only Matching works differently. If Jaikoz fails in its attempt to match a group of songs to an album it then just attempts to match the songs via AcoustId. Having found a match it add song details such as Title, Artist and MB Recording Id but not album details such as Track No and MB Release Id . But its a bit cleverer then that. Firstly when an AcoustId is linked to some MusicBrainz Recordings, we look at the MB Releases that these recordings are linked to. And if the groups of songs have recordings that have links to the same MB Release then we also add some basic release information such as Album Name, Catalogue No and Cover Art using the most popular releases for the songs. So for each song we use the most popular release that the song is linked to. And we know that Cover Artist a key piece of metadata customers like to have. And it is much easier to remove an incorrect piece of artwork then manually search and add artwork yourself. But we only add this additional information if these fields are currently blank for your songs, so we don't overwrite your existing data as we cannot be sure its 100% correct. There are many tracks in AcoustId database that we cannot find in MusicBrainz, there are currently 45 million unique recordings in Acoustid compared to 20 million in MusicBrainz. In these cases we can at least make use of the basic user submitted metadata provided by Acoustid. This allows us to add artist, song title and sometimes album for these songs. 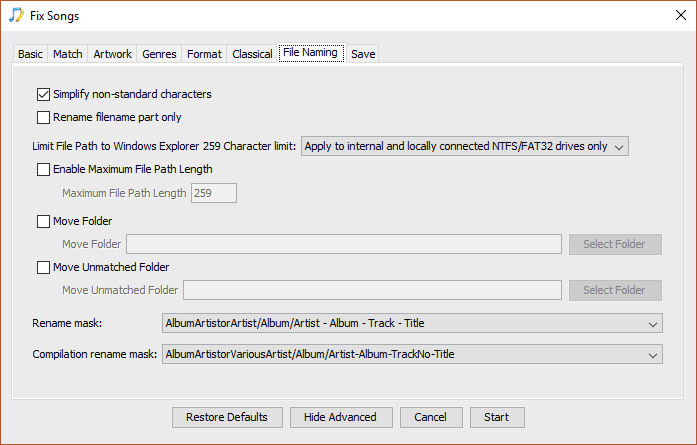 For album we try use metadata from original albums that rather than compilations. 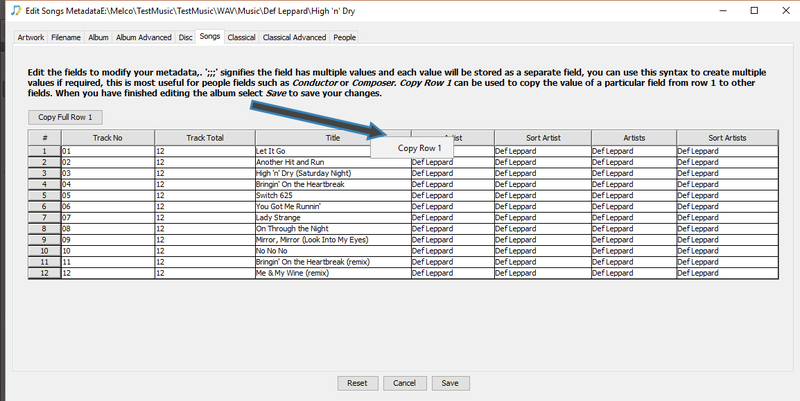 All these features of Song Only Matching should ensure that Jaikoz can at least partially identify almost all your songs without requiring modification to the default settings.